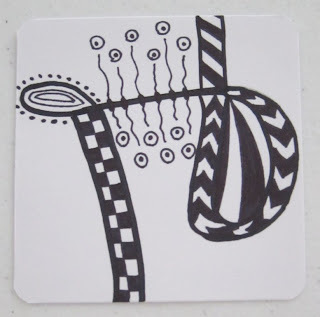 I spent most of the weekend catching up on the zentangle challenges hosted by I am the Diva. I had a lot of fun and was able to do 20 challenges. As I have mentioned before I suffer from carpal tunnel on both my hands and I had surgery on the right hand which didn’t make things better so I can’t do too much with it for long periods of time; so eventually my hand was hurting but I was so into doing the zentangles that I hardly realized it. Unfortunately today I am feeling it; so I won’t be doing any for a few days. 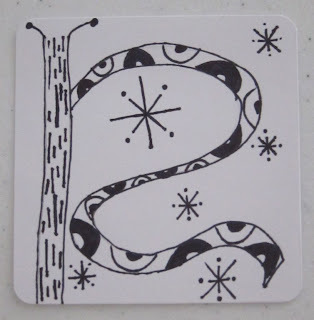 I did so many that I have realized I like keeping my zentangles simple. 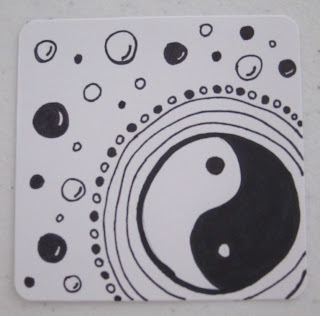 On my next zentangles I plan to try to do some shading. Below are the first 10 challenges. Here is the blind string. 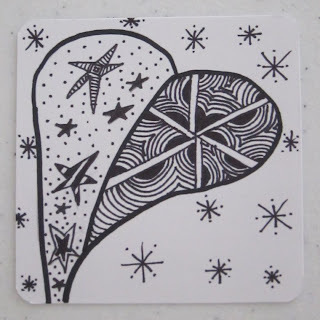 Here is the finished zentangle. I used stars from Challenge #4 and Ixorus from Challenge #6. 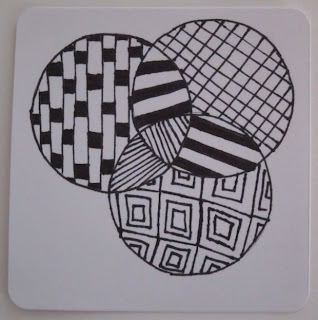 Zentangle Challenge #34 "Opposites Attract"
I am the Diva hosts weekly zentangle challenges. This is my first challenge. 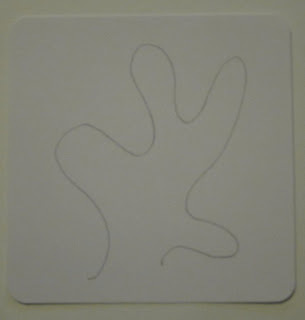 I decided to do the challenge with the standard sized tile of 3.5 inches. I still don’t have good pens so I had to use an ultra fine point sharpie. I had ordered a set of Sakura pigma micron pens but the seller cancelled the order today. So I plan to see if I can find them in a store around here. Would an arts and crafts store have them? 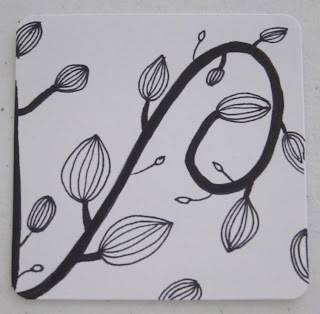 I don’t like my tiles for the challenge but since I only found the site yesterday and the challenge ends Saturday night I don’t have time to re-do them. 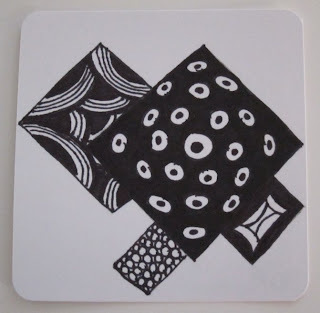 These are my 2nd and 3rd zentangles. 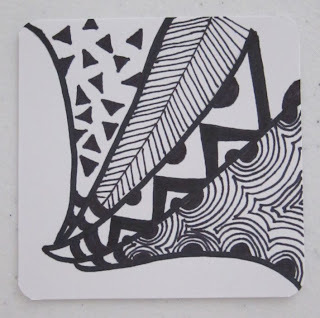 Today I did my first zentangle. It was fun. 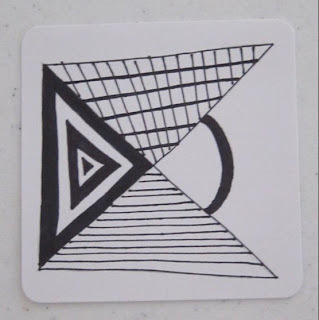 It reminded me of the doodles I used to make in class when I was bored out of my mind. I unfortunately didn’t have any good pens. I used a black sharpie ultra fine point marker. Which isn’t good since it bleeds. One thing I noticed is it makes my hand quite unhappy so I probably won’t be able to do them quite often. 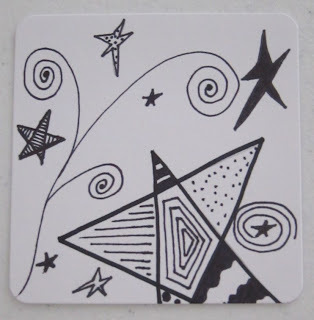 My zentangle isn’t the standard size of 3 1/2 inch square. I have seen many in larger sizes so I did mine on a 5×7 inch heavy cardstock. Next time I will try to do it on the standard size. 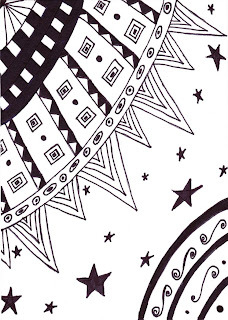 I plan on reading more on zentangles over the next week. 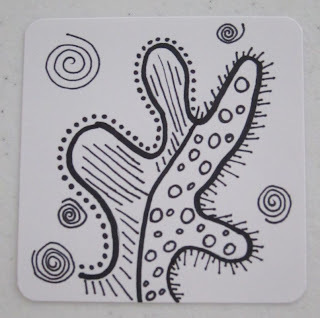 I also just found a website that does challenges with zentangles. The website is called I am the Diva. They are currently on Challenge #34 so I am a bit behind. I will probably start with the next challenge and might catch up on the others slowly. If I continue doing them I will need to buy better pens. 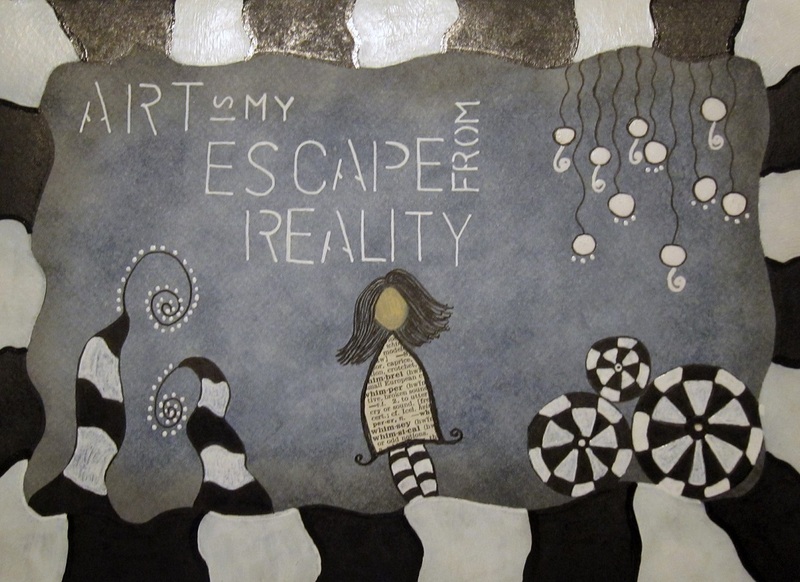 And now I present to you my first zentangle…tada! 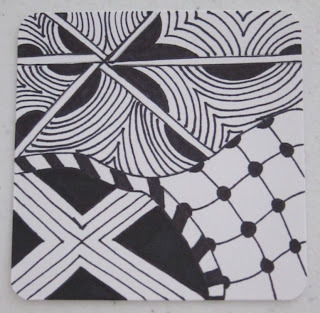 *Update – This is actually considered a Zentangle Inspired Art since its not on a 3.5 inch tile. So it doesn’t really count for my 32 Things by 32. However the ones done the day after this do count. Click here for those.